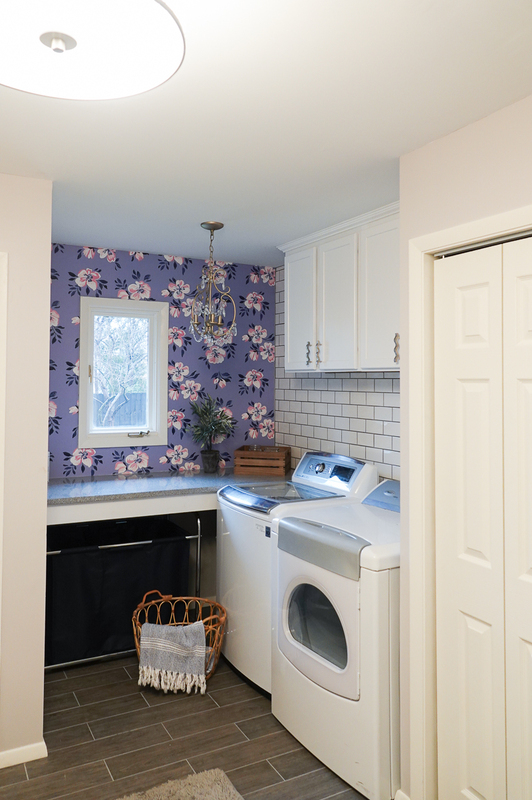 Laundry Room Remodel - Sincerely, Sara D.
I have a pretty laundry room remodel to share with you today, and this one is extra special because it is a space I helped my sister-in-law design. 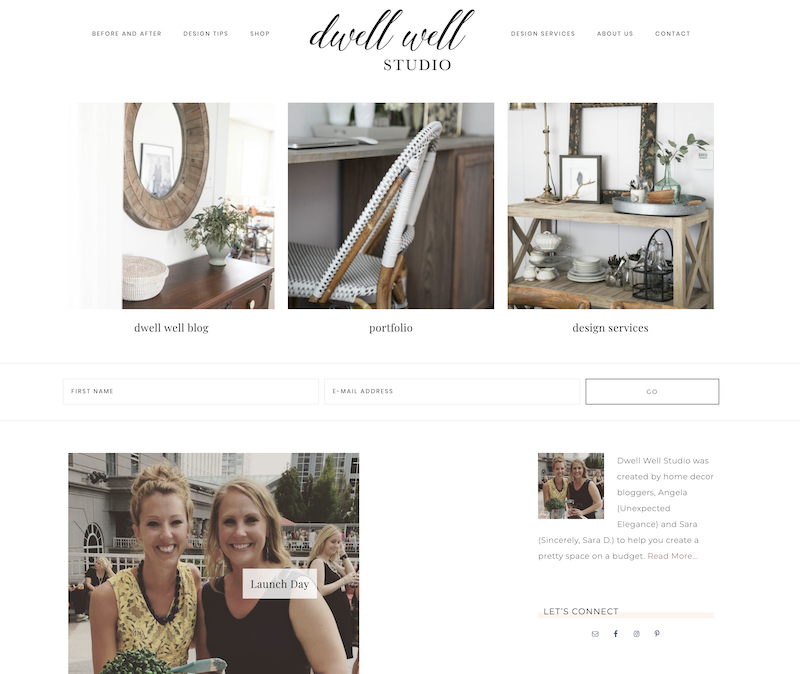 Last year, my friend Angela of Unexpected Elegance and I started a design business called Dwell Well Studio. 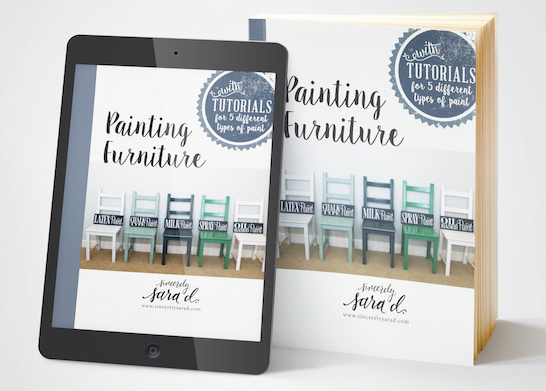 Our original plan was to do eDesign, but we have found ourselves doing local interior design instead. It was really hard to get any before shots of my sister-in-law’s space, but this area is their back entry (off the garage). Before, the garage door led into a small, narrow hallway. 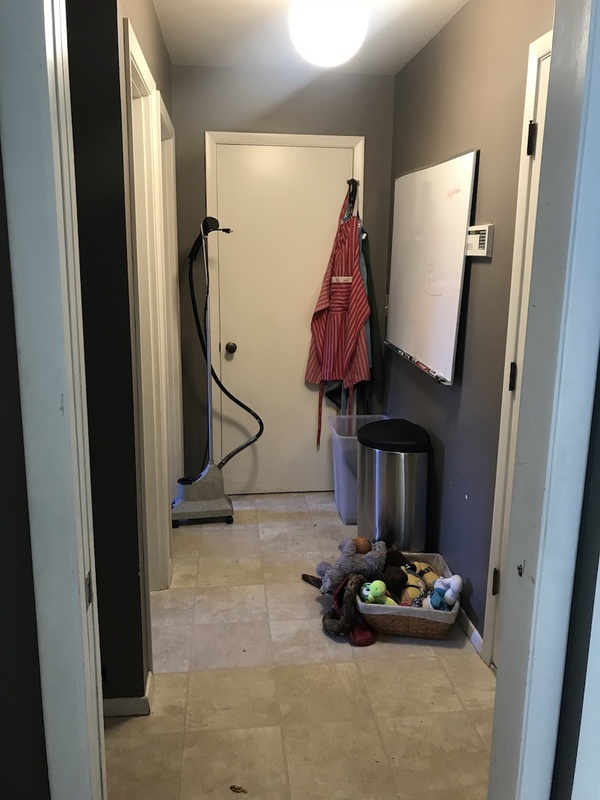 The garage entrance is the the right, a small closet is at the end of the hall, and the laundry room and bath are to the left in separate rooms. On the other side of this doorway is the kitchen. What a difference, isn’t it?! 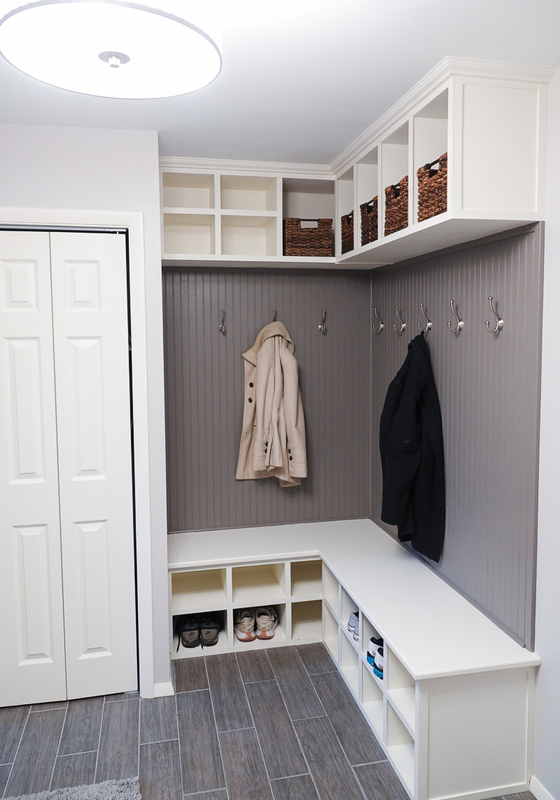 The hallway closet was moved to the left to allow for an open mudroom area. The laundry area is no longer closed in, and the space is much more open and inviting! 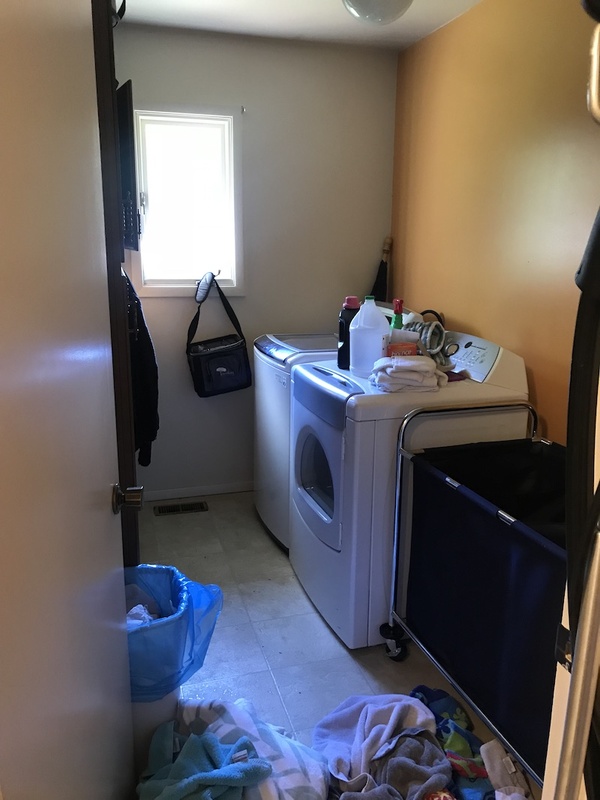 The laundry room before was closed in with walls and a door and was boring. 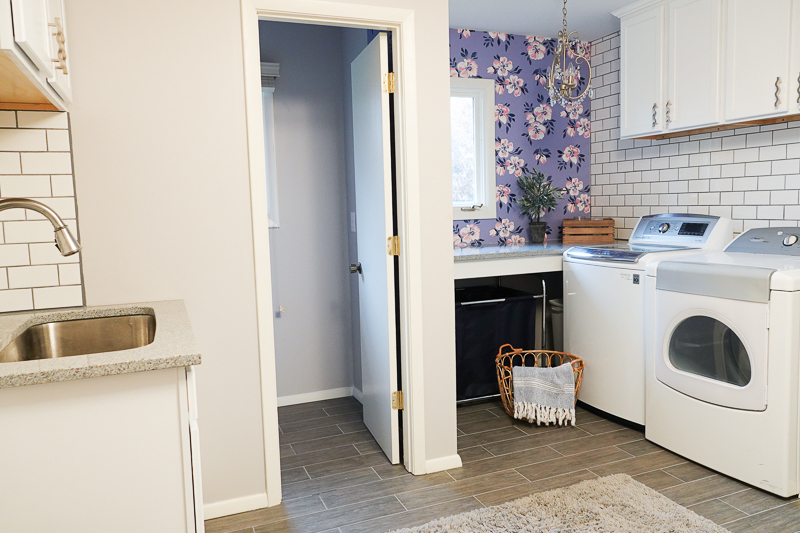 After opening up the space, a folding table, new cabinets, wallpaper and a new light fixture were added to create a space that makes doing laundry a little more tolerable! What was a half bath is now a toilet room. 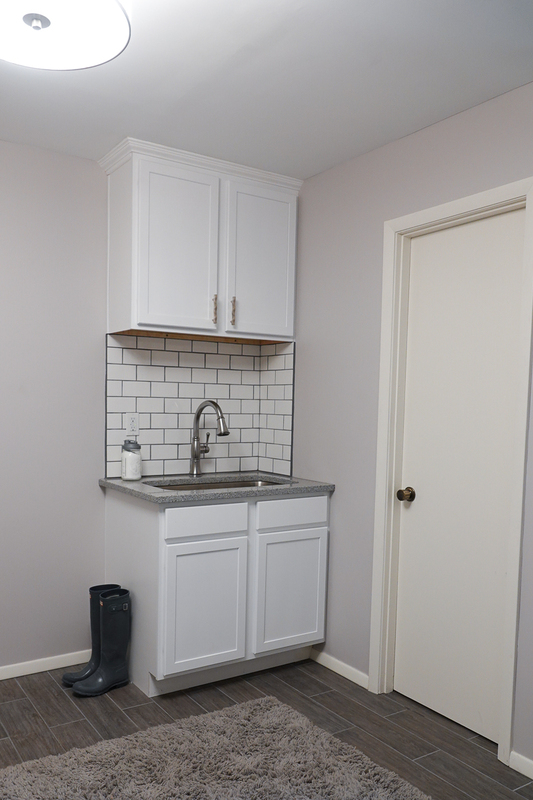 The sink now sits outside in the main space to allow and doubles as a bathroom sink as well as a utility sink. The space is still missing some decor items, but it such a huge improvement from the previous space. 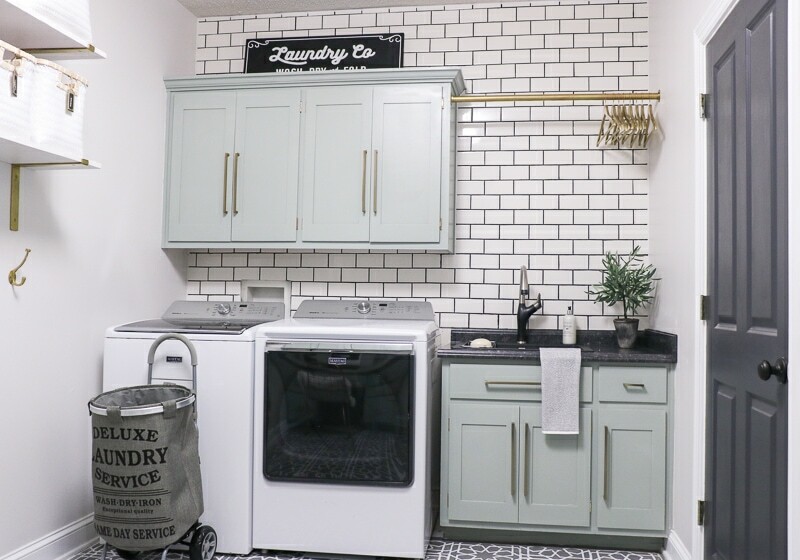 Would you enjoy doing laundry more in this space? I sure would! 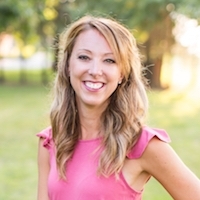 Go HERE to see all the details and that makeover! I love this! That wallpaper is bueno!! 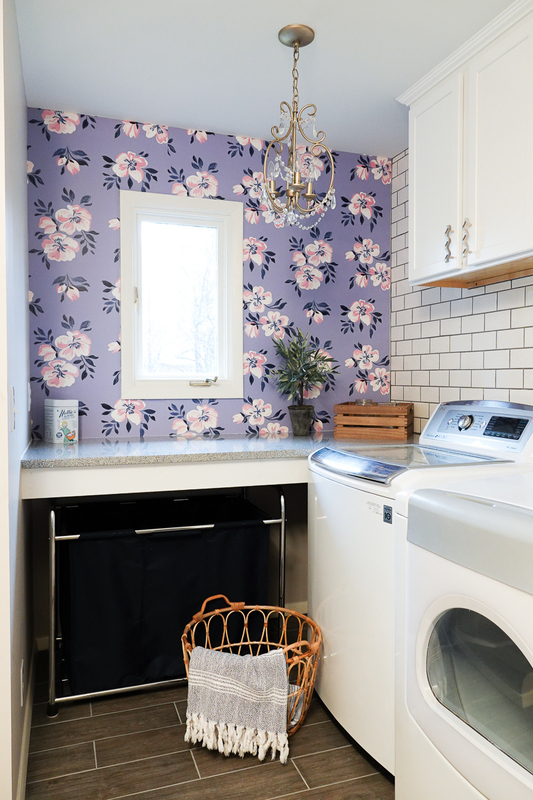 I also love that wallpaper, so sweet and pretty, and I have to say I never thought of putting lighting like that in the laundry, such a creative idea!